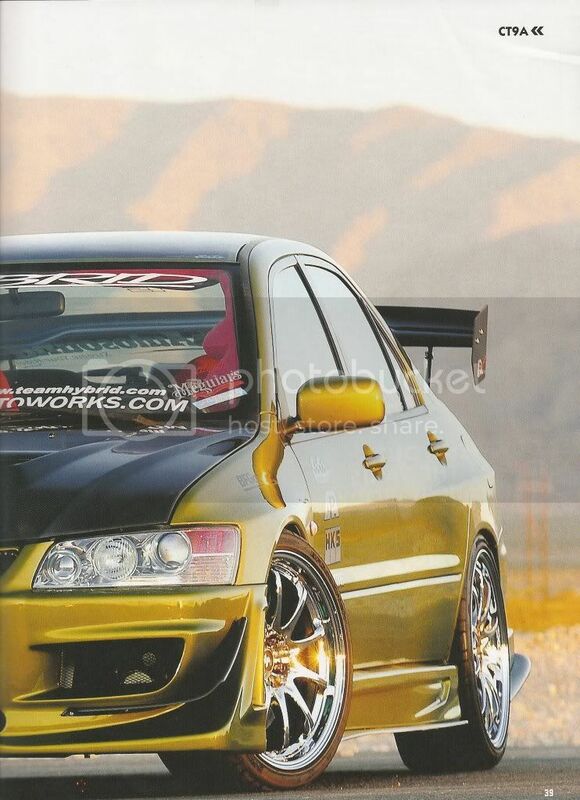 Congratulations to Michael Eaddy's 2005 Mitsubishi EVO VIII in a 5 page full feature in HPI (Australia) 2011 issue #134, pgs 038-042. Big props also to LV Chapter Director, Archie Concon for making this photoshoot and opportunity possible for Michael and our team. HPI wrote #1, "Michael Eaddy knows this game very well. He's been playing it with his friends in the Team Hybrids crew." HPI wrote #2, "With their patent flaming tread pattern, you can spot these BFG's anywhere." Nice! 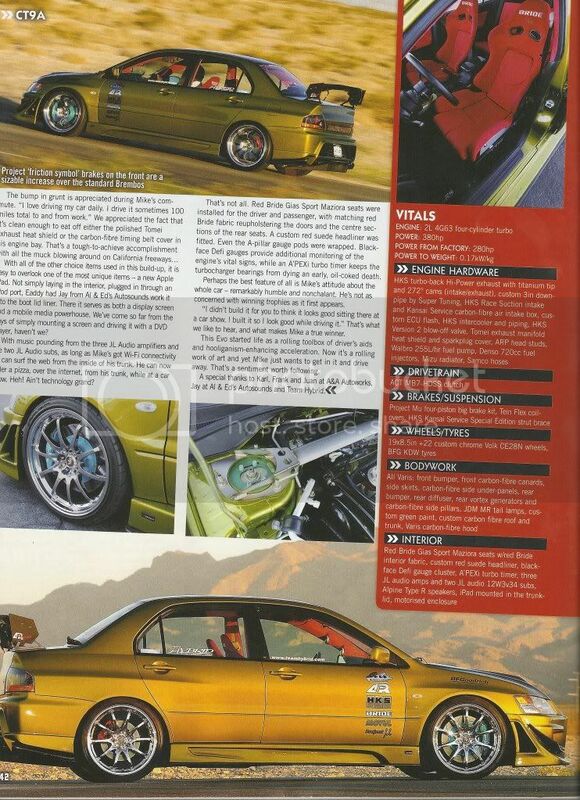 HPI wrote #3, "The favourite rollers of the Team Hybrid crew, 235/35 BFGoodirch KDW,,." Happy to hear the editors/writers of the magazine are well aware of our long term relationship. 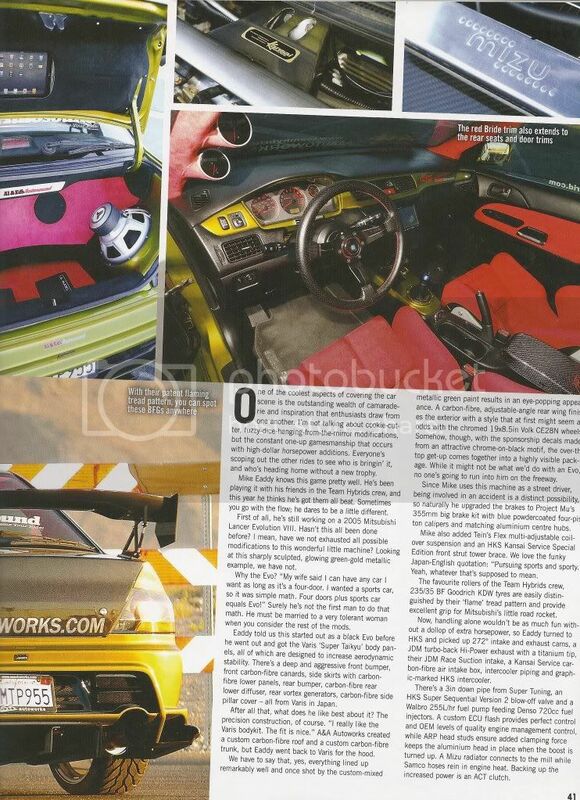 HPI wrote #4, "A special thanks to... 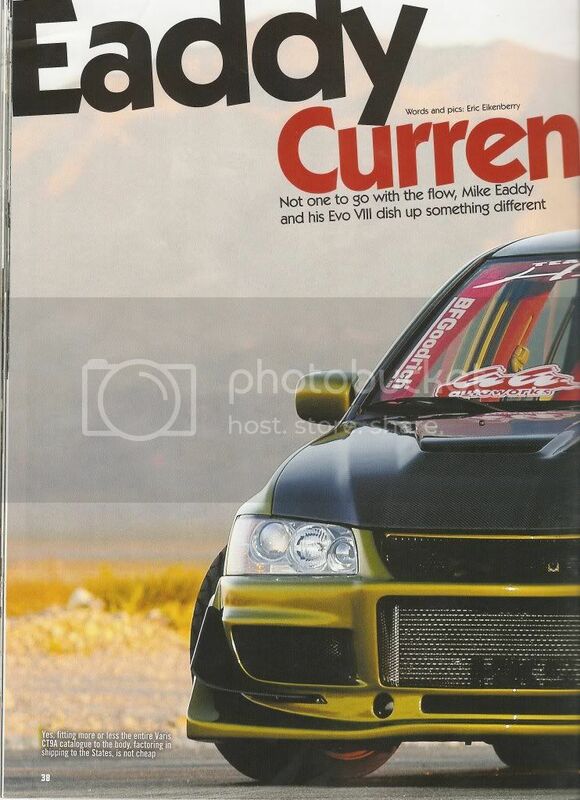 Team Hybrid,"
Last year, Michael was on the COVER of the March 2010 issue of Super Street and this year, he's in a full feature in an international magazine. More examples of the greatness one can achieve being in Team Hybrid vs. Not.